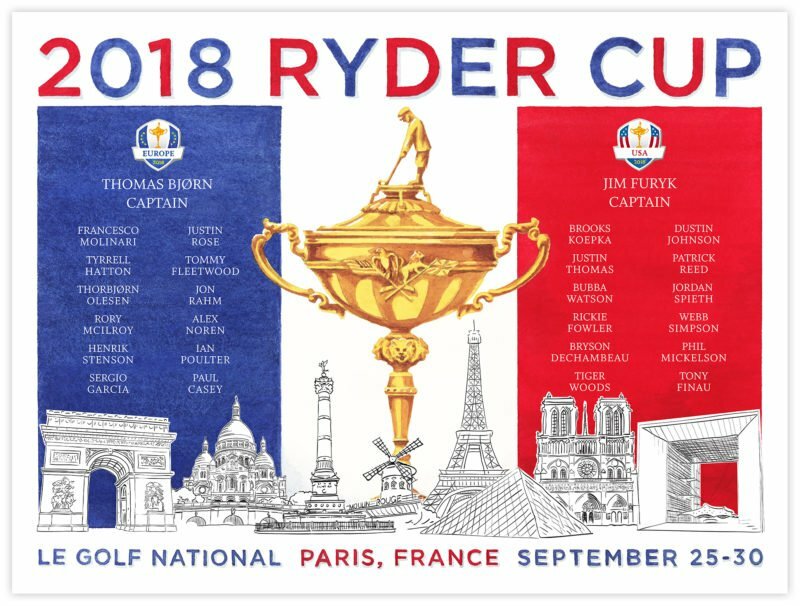 A 2019 Ryder Cup Limited Edition Team Print will be available at the event in Paris and we are offering Artist Proofs to our customers. This is Lee’s second Ryder Cup Team Print and includes the famous trophy and the complete rosters of Team Europe and Team USA. The Print also showcases many of the famous architectural landmarks in the City of Light, some of the most visited places in the world. The Print will include the complete rosters for both teams and will be ready to ship to our customers by mid-September.